This photo was taken in March 1999 from Tikaboo Peak, with a 1500mm lens. 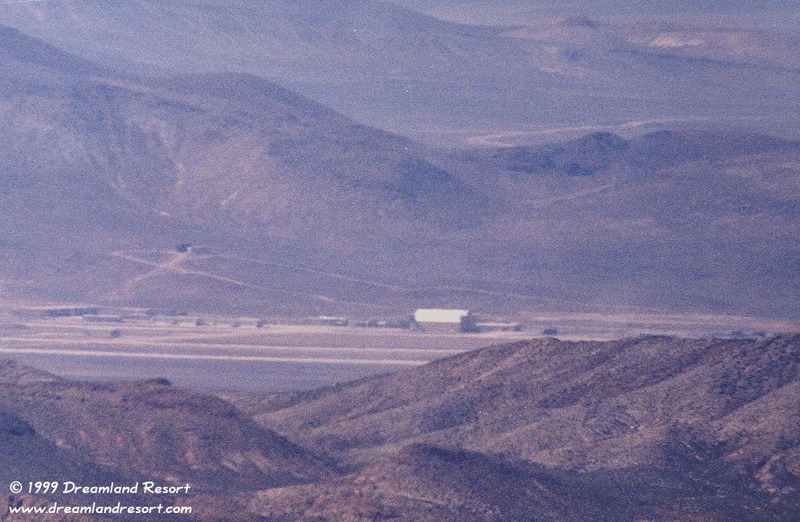 It shows the large "Hangar 18" in the center of the picture, and the two runways in the foreground. Notice the large new dark colored water tanks on the hill slope behind the four older tanks. More water for a closed base...? Photo by Chuck Clark.